Rather remember if Jacob Zuma had not been ousted as president 11 months ago, there would never have been such an inquiry in the first place. 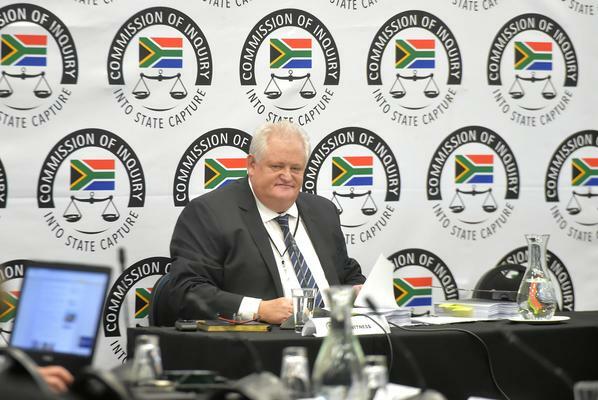 Political commentator Justice Malala noted this week that many were getting depressed about the shocking evidence from the Zondo Commission of Inquiry into State Capture. But, he added, it should not be forgotten that if Jacob Zuma had not been ousted as president 11 months ago, there would never have been such an inquiry in the first place. Shaun Abrahams would have been running the National Prosecution Authority and Dudu Myeni would still have been up to her tricks in the Jacob Zuma Foundation and South African Airways. Thinking about what might have happened to this country had Nkosazana Dlamini-Zuma not lost the race for the leadership of the ANC at the party’s elective conference at Nasrec in December 2017, is something everyone should do when they despair of what is currently happening. Although Dlamini-Zuma may have tried to chart her own course, there is no doubt her former husband and his state capture network (headed by the Gupta family) would not only have survived, they would be firmly in the looting saddle. The R1 trillion nuclear deal with Russia would probably have been signed off and more billions bled off the state, accelerating the plunge to failed state status. Tom Moyane would still have been in charge of the SA Revenue Service, Hlaudi Motsoeneng would have made a return to the SABC and the power blackouts would have been longer and spread further. That is not to say things are wonderful in Cyril Ramaphosa’s “new dawn”. Far from it. Zuma and his clique still hold enormous power within the ANC and Ramaphosa has to tread carefully until he fully consolidates his hold on the party. The economy is still struggling to grow, unemployment is spiralling. Let’s hope the pain of the Zuma years gives way to genuine – and real – eventual gain for South Africa.